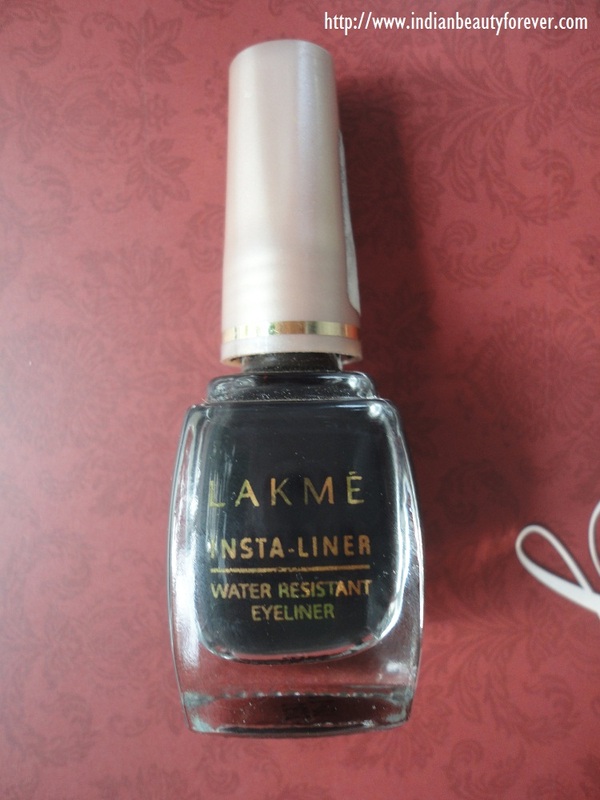 today, i will be reviewing one of my most affordable and very good eyeliner from Lakme. 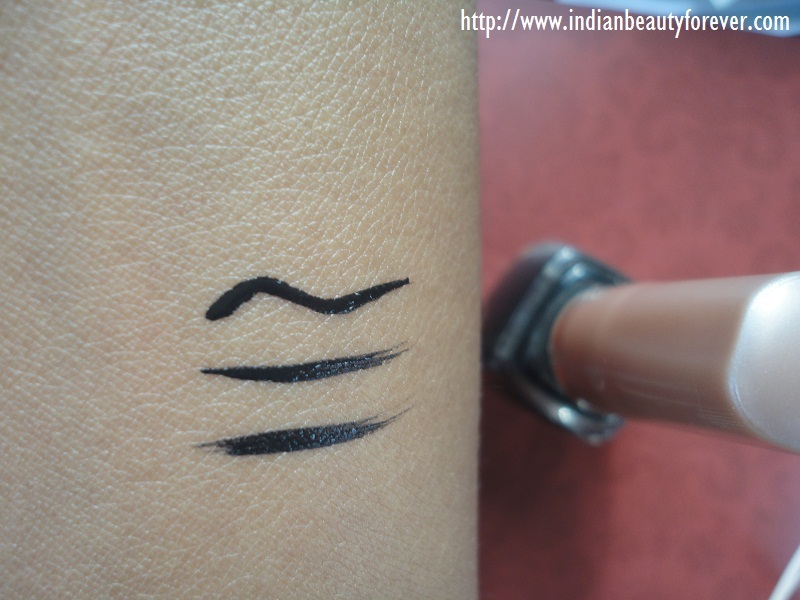 this is the liquid liner and i absolutely love this. Packaging- Packed in a usual glass bottle with the applicator in the cap. 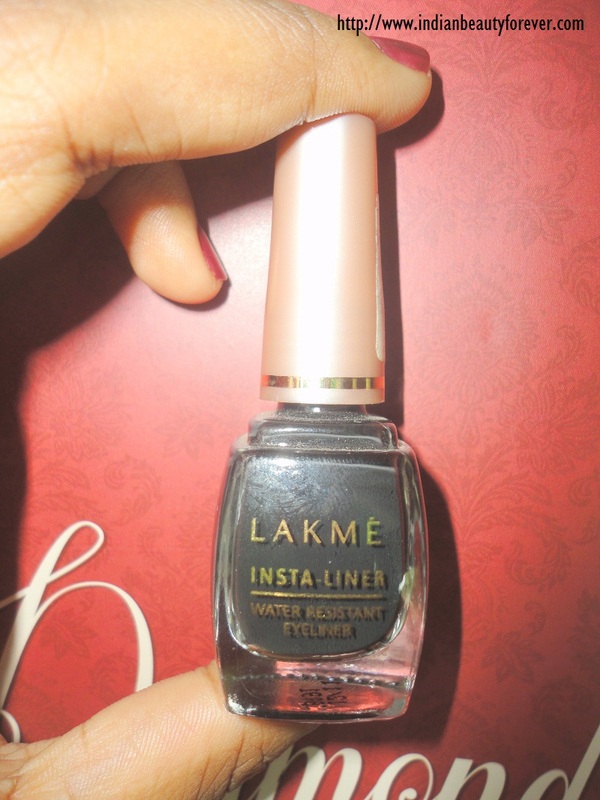 What the company claims- Lakmé is an Indian brand of cosmetics, owned by Unilever. Lightweight and comfortable eye make-up for perfect definition. It is water-resistant formula that ensures no smudging or smearing. It is deep intense color that does not fade. My Experience- Before trying this eyeliner I tried dazzler and elle 18 and I was completely not satisfied with them. then I tried this and should say it is one of the cheapest and best of the eye liners that should be possessed to a beginner to experienced. They keep up their claims. It is really dark black but not that very intense but still a good black. 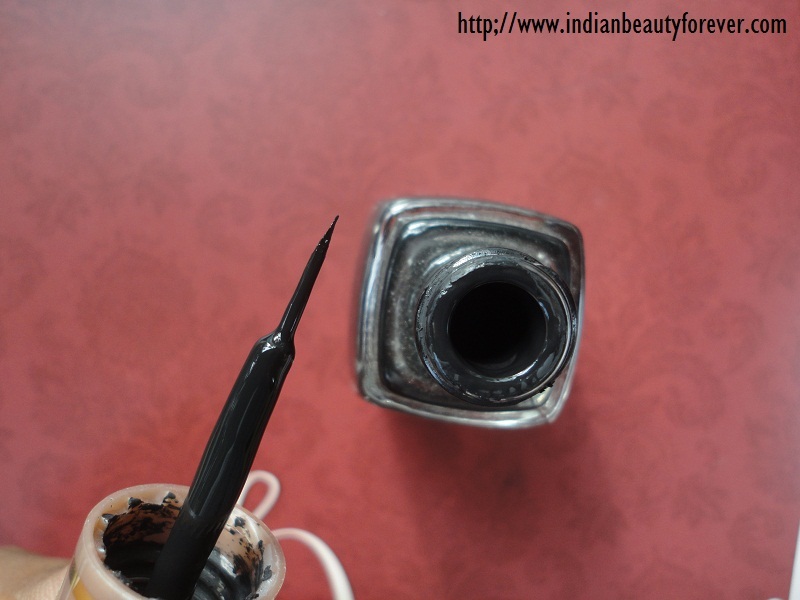 Once you apply the liner it stays like a gel for more than 5 mins and have to be very patient till it dries or you will end up sticking the liner to the creases. It does stings my eyes a little if it gets into my eyes. These are the only two cons I find about this product. It stays well on the upper lash line without smudging and chipping (which many liners fail) almost till end of the day for me. You can create any dramatic look with it. 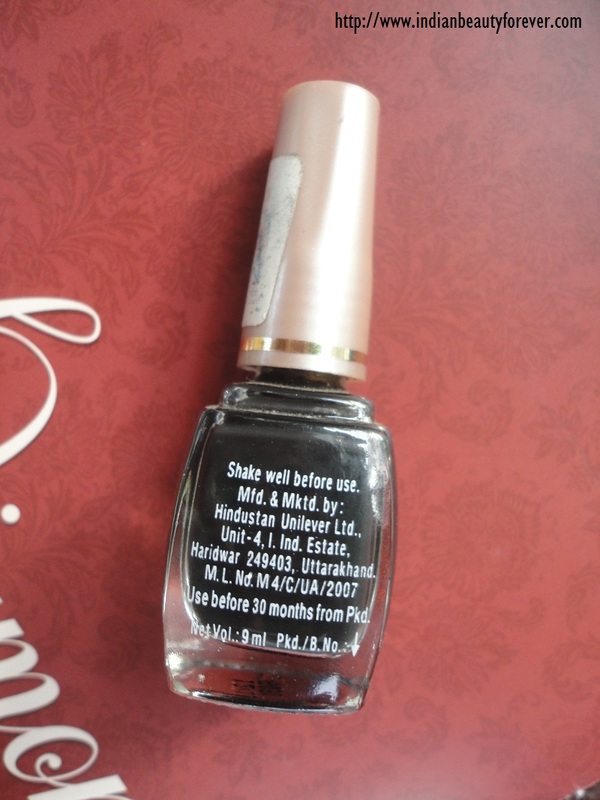 The applicator is so apt that it is not very thick or not too thin. It just stays without smudging in your eyes if just splash water. I love it. My take- Finally it is a very affordable and a must have product in the make-up kit. I totally love this. Niesha this was my ist eyeliner started with lakme only.. Thank you Tejinder :) :) ya most of us would have tried this one time or the other !! Same here Teju, it was my first liner too and review was don by Monissha..
great review..every word is true.. It was my first Liner when i was in college. ******Sorry guys, i forgot to mention this review was done by monissha..
same her Tanmayee. :) This was mine first liner too. The bottle reminds of a nail polish! Thanks Demi :) :) ya their nail paints have the same package ! !